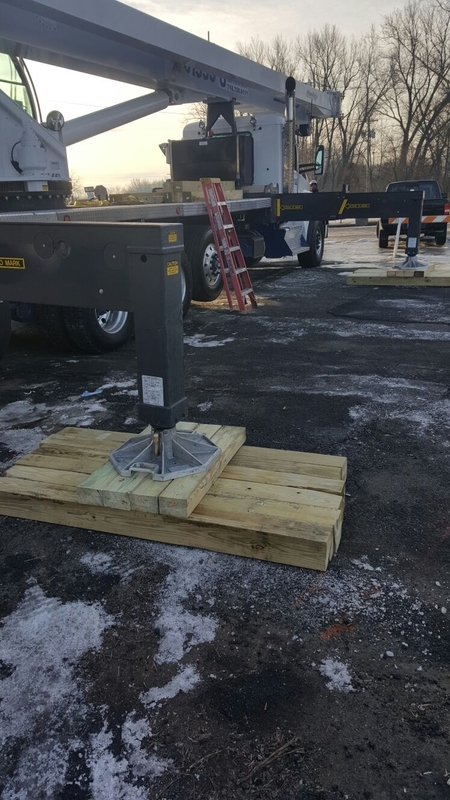 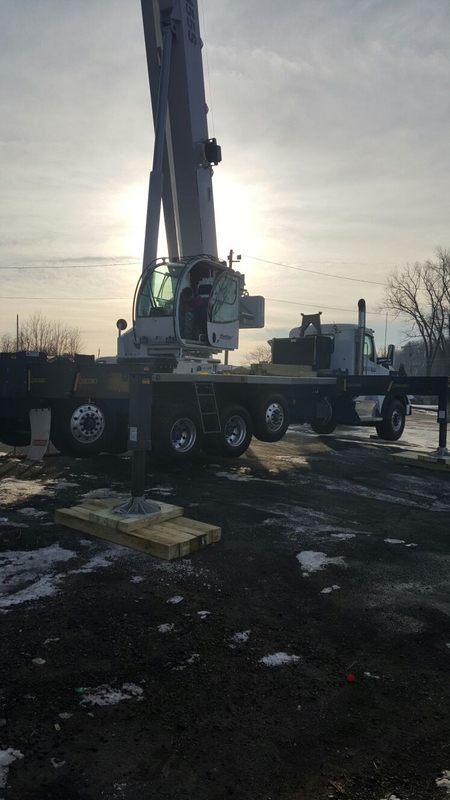 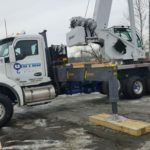 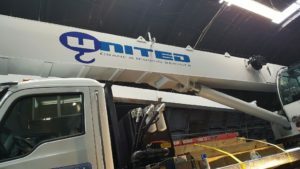 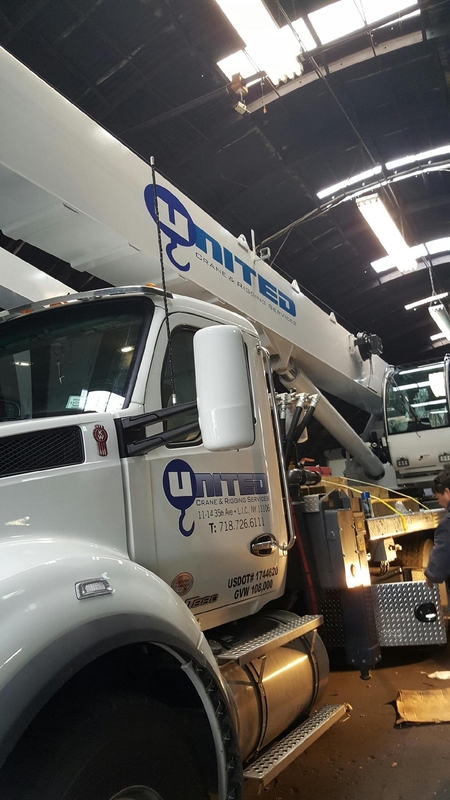 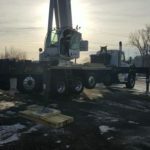 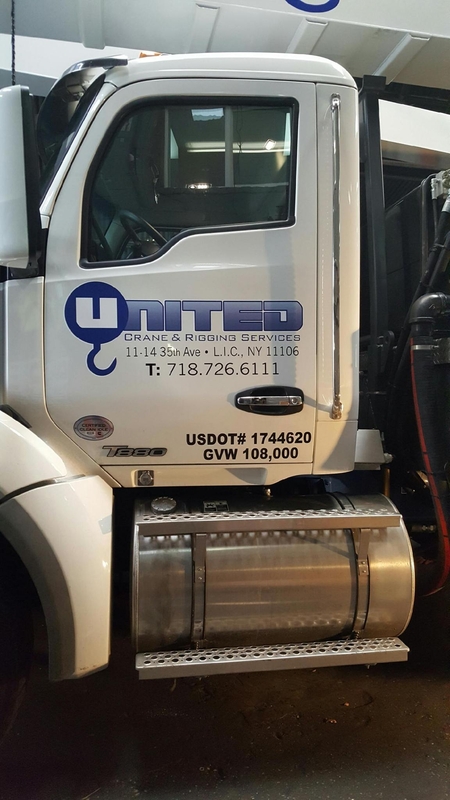 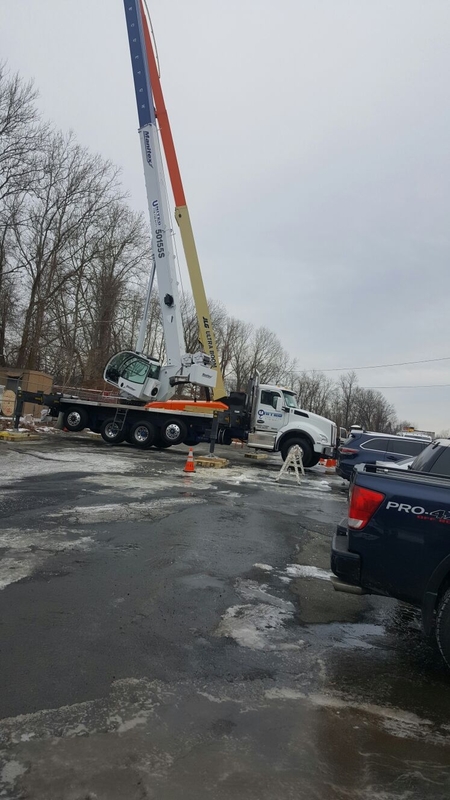 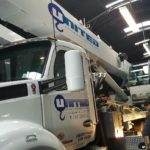 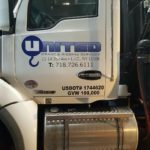 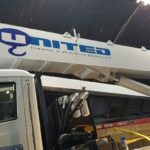 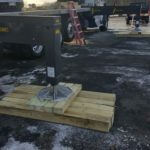 Here are some pictures of the first job we did with our new crane. 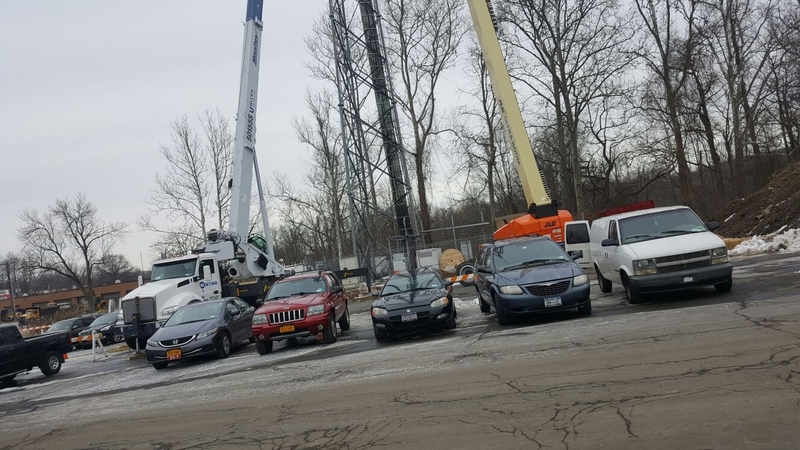 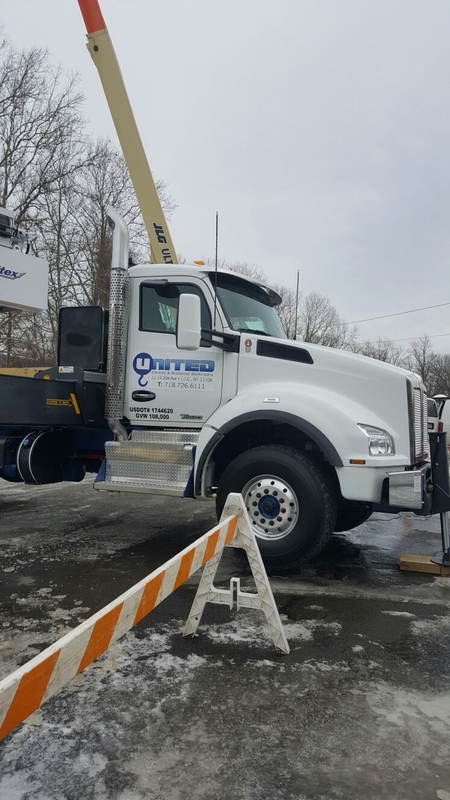 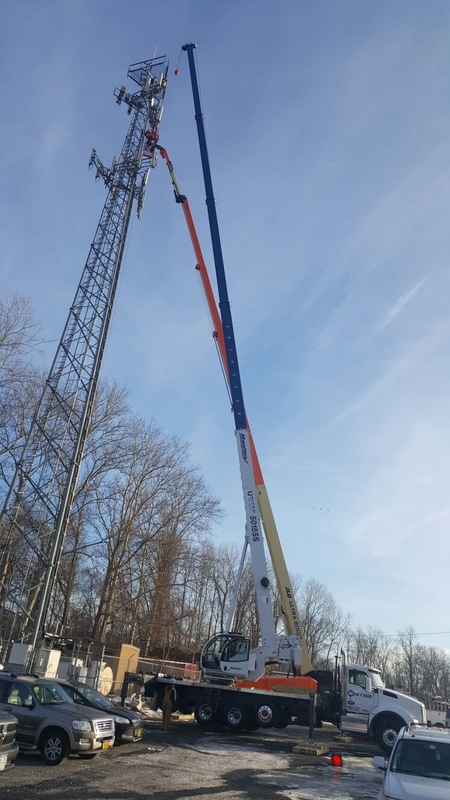 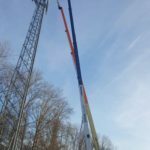 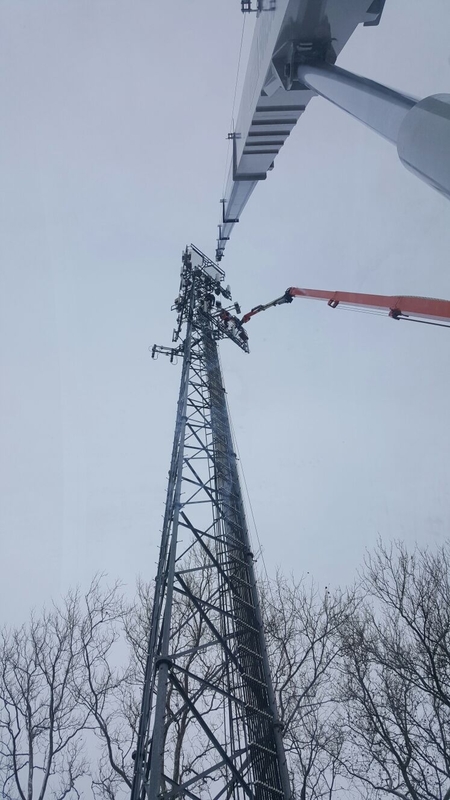 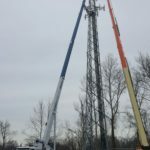 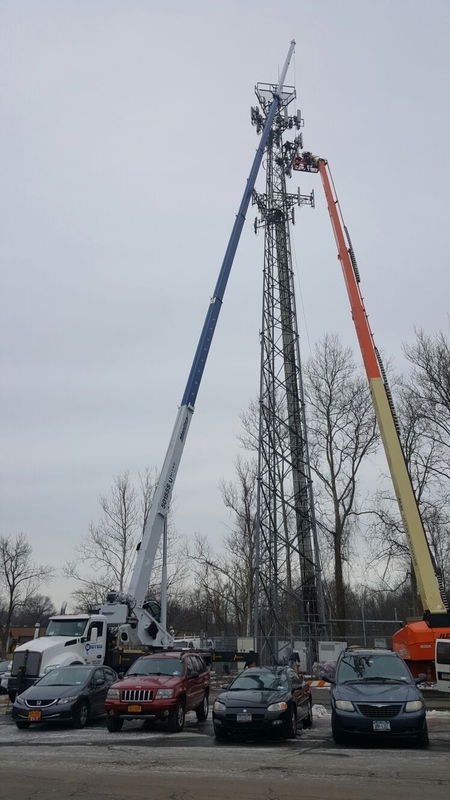 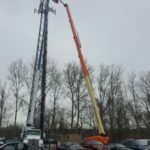 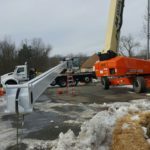 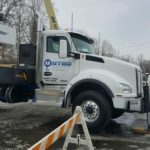 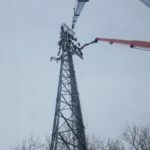 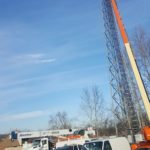 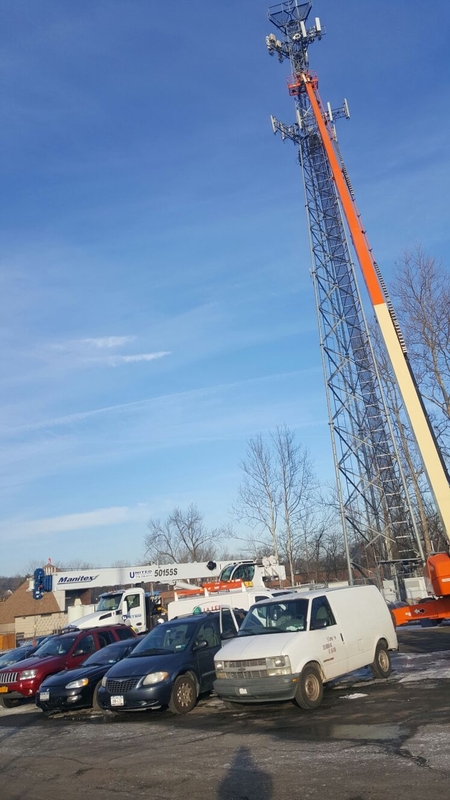 We helped a telecom client replace antennas on a pole that was 170′ high in Orangeburg NY. 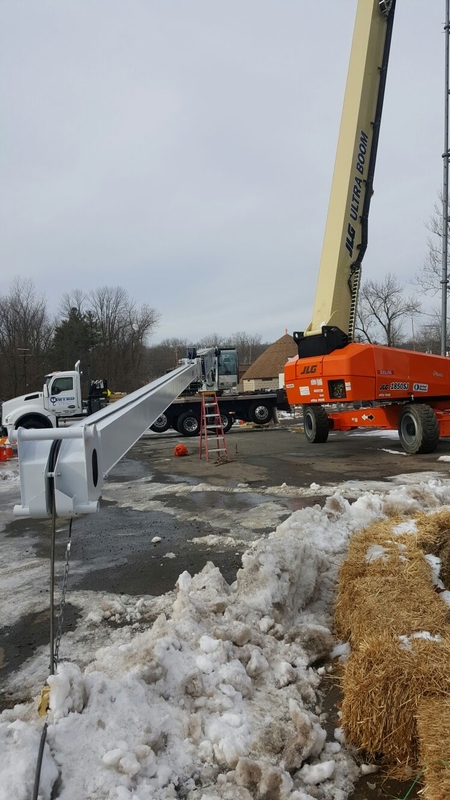 We had to swing our jib that has the following length capabilities: 155′ Main Boom and 39′ jib. 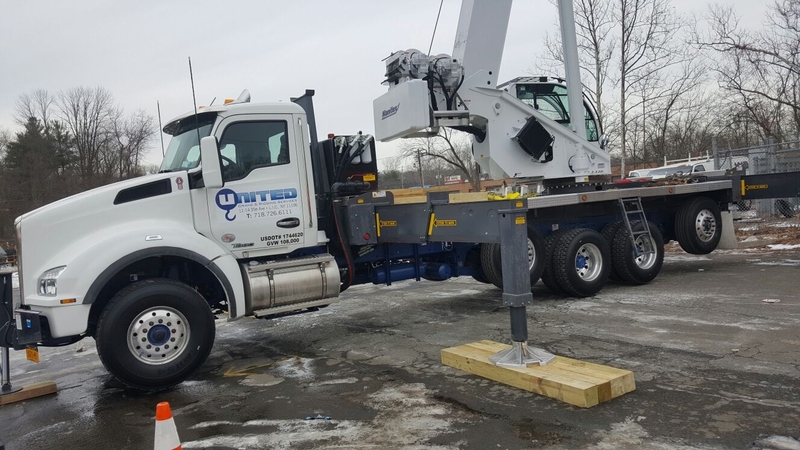 This combination gives us 194′ of boom tip height. 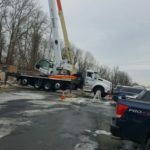 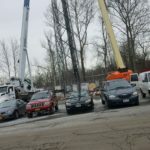 The job site was located on private property. 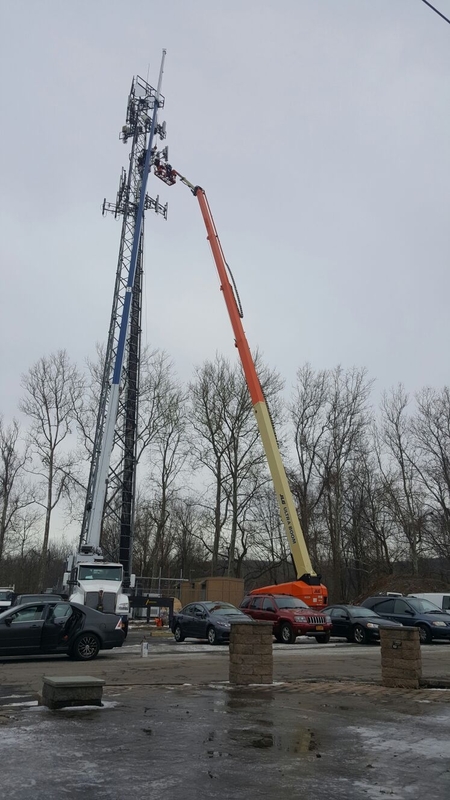 Besides the crane we had to use a man-lift to get to the top of the pole while we hoisted the antennas into place.